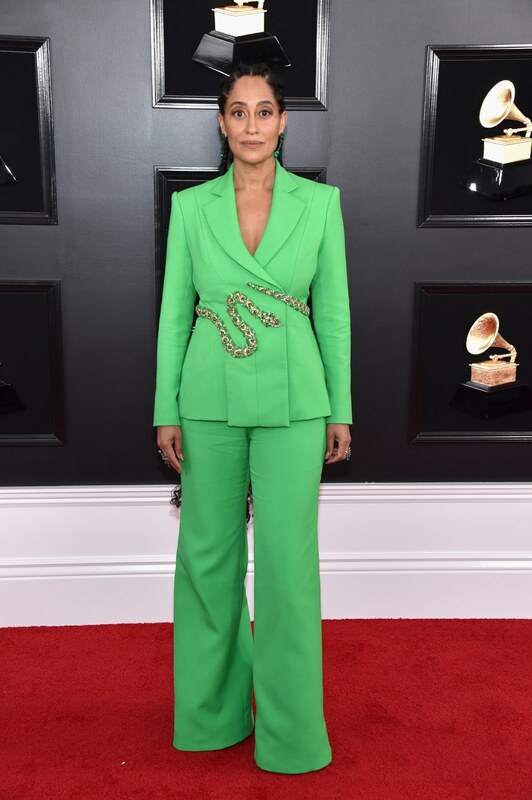 The 61st Annual Grammy Awards ceremony was held on February 10, 2019, at Staples Center in Los Angeles and the red carpet was alight with all the fashion. Singer-songwriter Alicia Keys hosted. The ceremony will recognise the best recordings, compositions, and artists of the eligibility year, which ran from October 1, 2017, to September 30, 2018. The stars took to the red carpet in preparation for their big nights but not all of them won in the style stakes. Take a look at the the good, the bad and the oh so ugly of the Grammy’s 2019! Dua Lipa looked stunning in a silver strapless column gown. The singer, who won her first Grammy last night, looked every inch the superstar in what is a classic and timeless look. The beautiful dress skimmed her curves beautifully and her diamond jewelry was truly the icing on the cake. Hedi Slimane’s debut for Celine has been met mostly with disgust with many claiming he has ruined the legacy of Celine. However, we have to admit that we love this silver dress on Lady Gaga. Whilst we admit that it’s not the Celine we have come to know and love, there’s no denying she looks great. Lauren took the red carpet to support her man Nipsey Hustle, who was nominated in the Best Rap Album category, but managed to steal the show in this white Usama Ishtay gown. The dress, which had criss- cross detailing revealing a cheeky bit of flesh fit Lauren like a glove and was a classic, albeit a very safe choice, for the event. The hostess with the mostess Alicia Keys looked amazing in a red Giorgio Armani dress which showed off her amazing shape. The star, who stopped wearing makeup a few years ago, looked radiant and had her hair pulled back into a low ponytail with a cute afro puff. Simple and elegant; Alicia Keys personified. Tracee looked sensational in a look that was fresh off the runway from Paris Couture Week. The actress walked the red carpet wearing a green Ralph & Russo suit with snake embellishment. It was simple yet made quite the statement. She wore her hair in cornrows and kept her makeup to a minimum. We can count of Tracee to ALWAYS pull a look! This was a tricky one. Whilst the dress was over-the-top and theatrical, it was a vintage 1996 Thierry Mugler which the brand pulled specially from the archives for Cardi B’s big night. It showed just how far Cardi had come to be able to pull looks by such an iconic designer. Whilst the gown may not be everybody’s cup of tea, it was a legendary look and a great way to walk into her first Grammy win. 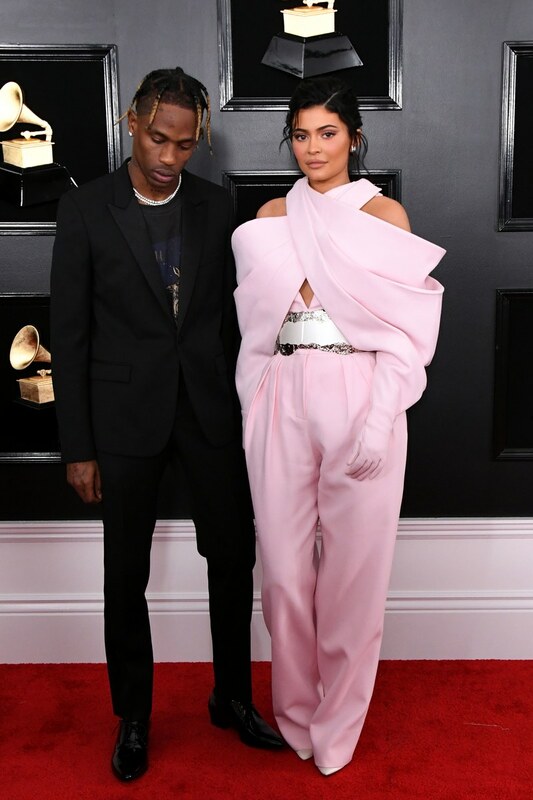 Kylie Jenner, whose style is usually quite predictable, decided to do something quite different from the Grammy’s and we have it say, it didn’t work. This baby pink Balmain Couture piece overpowered the petite star and was very off-brand. In trying to look edgy and fashion forward, Kylie ended up looking quite ridiculous. 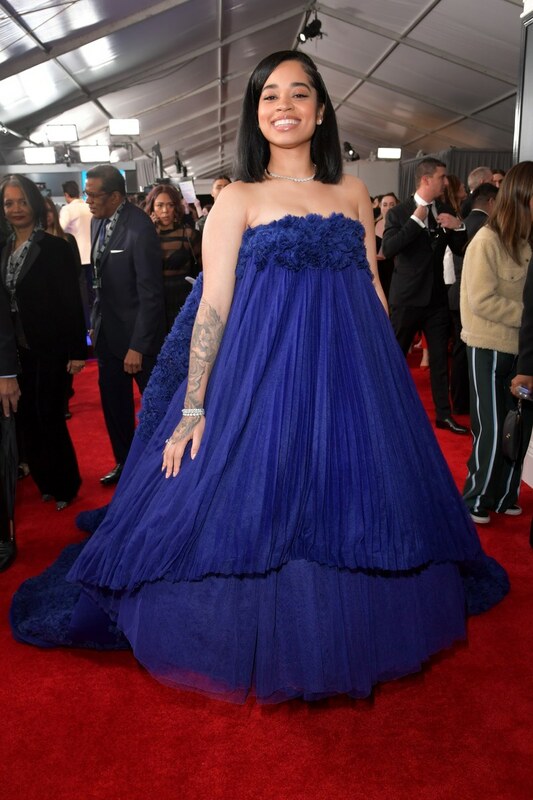 It was a huge night for newcomer Ella Mai who won a Grammy for her runaway hit Boo’d Up but her red carpet style left a lot to be desired. Ella wore a dark blue strapless dress, similar to the one Rihanna wore on that very same carpet a few years ago, but unfortunately, Ella didn’t quote pull it off. She looked overwhelmed and uncomfortable. 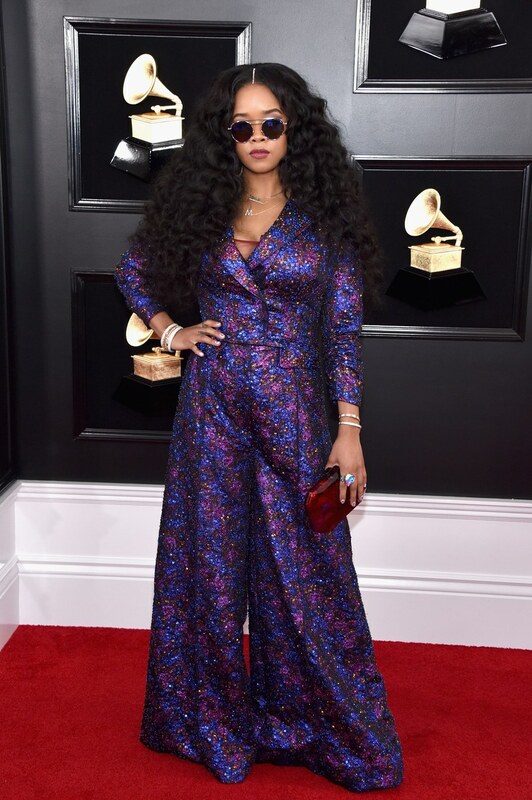 H.E.R, the mysterious singer, won, not one, but TWO Grammy’s on Sunday night but she certainly did not win in the style stakes. This Coach suit/jumpsuit was misshapen and unflattering. The flare overpowered her petite figure and overall, it was a huge fail. What a shame considering how big last night was for her! We’re used to Janelle Monae’s quirky style but this Jean Paul Gaultier couture gown was a miss. With the over-exaggerated shoulders and distressed hem, the dress was all over the place. and looked unfinished. Her embellished, slanted hat felt like an afterthought and added nothing to the ensemble. Jorja Smith turned up in this embellished, gold, column dress and honestly, we were underwhelmed. Jorja has such a stunning figure and usually gets it so right but this dress was just ‘off’. The overall look felt dated and too mature for the young singer. This Mugler suit was an understated choice for the over-the-top star and whilst we appreciate her mature approach, we were very underwhelmed. Whilst we like the unusual silhouette, the overall ensemble was a little ‘blah’. We can usually count on Katy Perry to wear rubbish but this Balmain couture look really takes the cake, literally and figuratively. The pink disaster doesn’t flatter in any way and coupled with the blond hair, washed out Katy’s complexion completely. She looked like a robot that was resurrected for the red carpet. 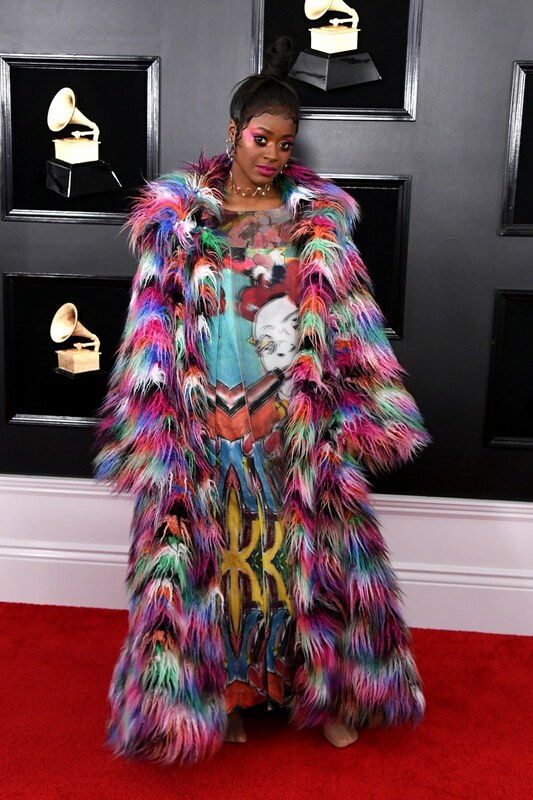 Rapper Tierra Whack gave us masquerade chic for the red carpet this year. Her monstrosity of a dress was busy, unflattering and confusing. As if the dress/furry coat combo wasn’t loud enough, her makeup artist went to town on her face and well, you can see the result. Joy Villa did it again. 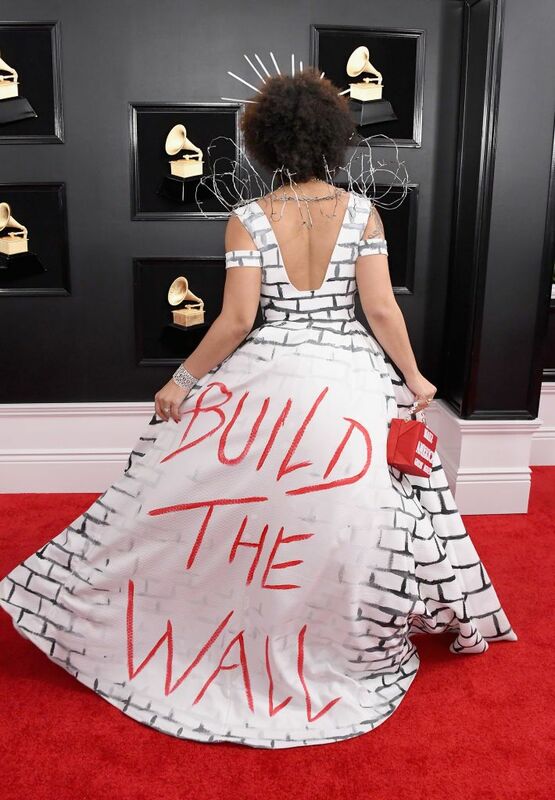 The attention-seeking pseudo-celeb twirled around the red carpet in a ‘Build the Wall’ dress complete with a barbed wire neck-piece and a ‘MAGA’ handbag. We were disappointed but hardly surprised. In the past, Villa has turned up in a pro-choice dress that featured a hand painted foetus and a ‘Make America Great Again’ ensemble. However, after 5 years of shoving her unsavoury politics in our faces in sartorial form, no-one still knows how she is or what her music sounds like. Imagine!